FLIGHTS OF FANCY BY KRISTY is a Perth based event styling business focused on creating intimate, unique and personalised events from weddings to dinner parties and the in between. Creative, attentive and aware that not everyone knows exactly what they want, Kristy and her small team will cater to your vision. Scrolling through the boutique business’ Instagram I was gob smacked by the stunning images showcasing the events they’d styled. 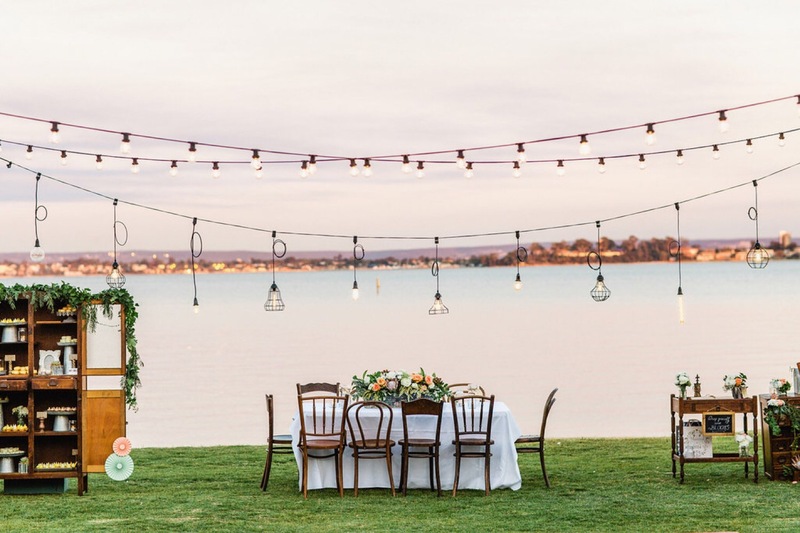 From boho chic weddings to bright and fresh Spring inspired themes for TPFF to intimate country affairs, this girl really has a nack for interior design. I couldn’t choose a favourite. Meet Kristy. Introduce yourself! Tell us a little bit about YOU! I am a dreamer, a perfectionist and a hopeless romantic. I don’t function without my morning coffee. I use too many exclamation marks! My passion in life is travelling – I always have to be planning my next trip. I have been obsessed with anything to do with France since I started learning French in Year 7, and I am still hopeful that I will be able to live there for a few years at least at some point in my life. I currently live in West Leeederville with my husband, Daniel. We’ve been married 4 years but together for 14 years. We also have a fur baby, a 12 week old beagle named Jensen. Spill – what is Flights of Fancy by Kristy all about? 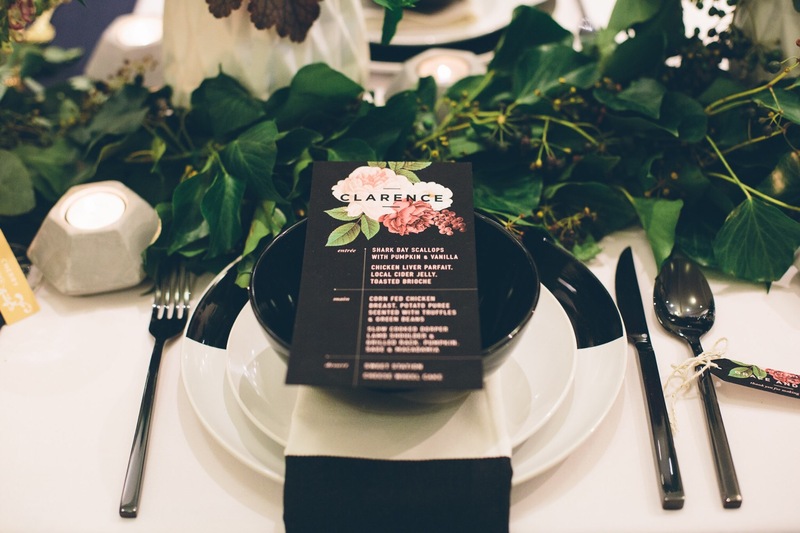 We are an event styling and design business based in Perth (but willing to travel!). Our mission is to design unique, creative and meaningful events for our clients. Our bread and butter and the thing we love the most is weddings. We believe that the authenticity of a wedding is what makes it truly beautiful. We love working with couples who trust us to help bring their vision to life, who are open to ideas and who recognise that a wedding is not just about pretty things but is the symbol of a commitment to share their lives and should therefore be a true reflection of them and a celebration of their relationship. We also have a very talented interior designer on board and have started taking on some interior design and styling work. We hope to grow that side of the business, but at the moment events are our primary focus. Why event styling? Is this something you’ve been interested in for a long time or did you just fall into it? I have been working for more than 10 years as a lawyer but I always had a creative side that wasn’t being fulfilled in my profession. Throughout university I worked as a waitress for venues that hosted weddings and I really enjoyed it – I felt like the combination of romance with an emphasis on aesthetics and detail made it the perfect industry for me. So, whilst working fulltime as a lawyer I studied Event Management and Wedding Planning after hours, hoping that it might one day lead to me owning my own business. In the meantime, through my work as a lawyer I learnt a lot about the legalities of running a business and I also did various small business courses. I started helping family and friends with their events and eventually felt I had the experience and knowledge behind me to be able to launch Flights of Fancy. The whole journey from starting my studies in events to starting my business took about seven years. 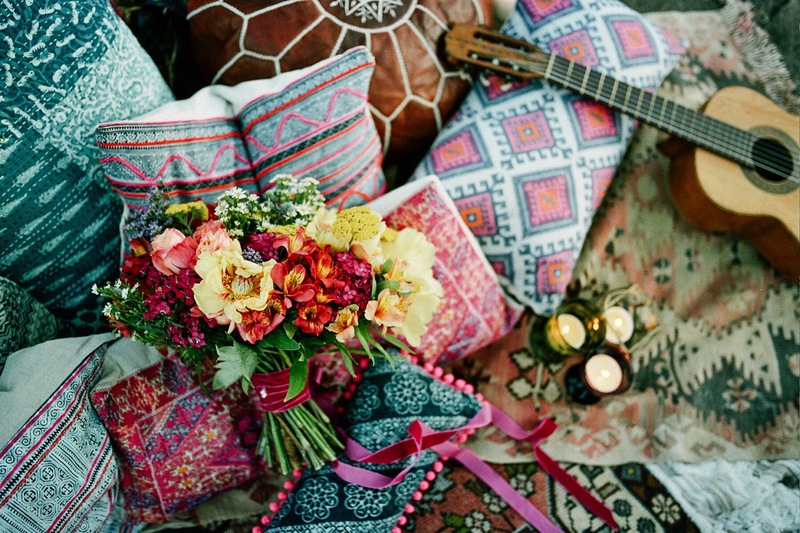 Where do you find inspiration for your styling? I try not to be too influenced by others which is difficult sometimes given the prominence of social media in our lives. I prefer to try and source inspiration from the things I love to do outside of work (writing, reading, music, films, art and travel) and of course I draw a lot of inspiration from my clients. 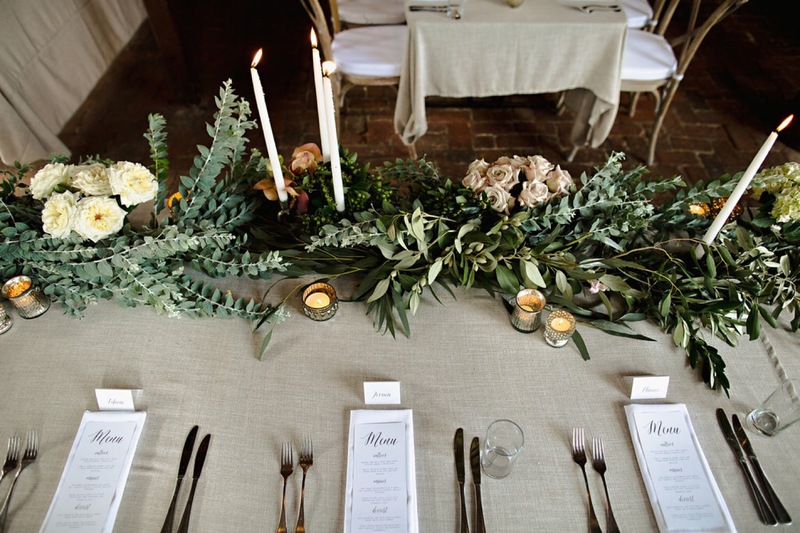 Tell us about your favourite event you’ve styled? I honestly can’t pick one – it would be like choosing a favourite child! They are each so special and unique. I have to say that the thing that always makes an event really memorable for me is seeing the couple’s reaction when they walk into the room, but in particular the groom’s reaction. Usually the bride has a pretty good idea of how things will look but I think grooms find it a little more difficult to picture and often aren’t all that interested in the details– but on the day itself it’s like they finally understand and appreciate all that work their partner has put in to it. Do people normally have ideas on what they want or do you ever just have to wing it? Some couples have quite firm ideas but need help to execute them, and others have no idea at all. It’s fun working with a couple who really don’t know what they want because we get to help them to figure out their style and can often create something that is really personal to them because they don’t have any preconceived ideas of what they want. A lot of the time preconceived ideas can be restrictive because they are often trends people have seen on blogs or in magazines and therefore not very original. What do you want to bring to your client’s events? Ultimately our goal with every wedding is to make the day better than the couple imagined – that not only means making it look amazing and injecting some of their personality into it but also coordinating the set up so that everything flows smoothly and all the people involved in the day know what they are doing and can come to us with any issues rather than having to bother the couple or their family and friends. In terms of the planning process we aim to make it more enjoyable and less stressful for the couple by recommending the right vendors, helping them to make decisions, and taking care of the little details. Do you work alongside any other Perth creatives regularly? One of the best parts of this job is getting to develop relationships with other creatives. There are several who we work with often and we love getting to meet and work with new people too. For a small city Perth is so spoilt for choice when it comes to wedding vendors! Who are your three favourite Perth creative folk? Again, this would be like choosing a favourite child! We work with so many creatives in our industry and our favourites are those who go above and beyond for us and our clients, who are always reliable and professional and who support and encourage others in the industry. You will know who they are because you will see us work with them time and time again. I’m holidaying in Perth for a weekend – what should I see, eat and do? Hang out in Leederville for a day – try some of the great cafes and restaurants there, check out the little boutique shops and catch a film at the Luna. Tour the small bars of Perth and Northbridge – there are just so many to choose from these days! Grab a picnic and head up to Kings Park – as clichéd as it is, that view is just unbeatable, especially at night! As for food, well that is one of my other passions in life! Gusto Gelato is the best gelato I’ve ever tasted, and I’ve been to Italy! I can never go past a good vanilla bean but I also recommend the salted caramel and the apple pie (it tastes just like an apple pie, pastry and all!). I also think Perth does brunch pretty darn well – my absolute faves are the Veggie Baked Eggs at Mary Street Bakery, the Potato Rosti at Sayers and the Chorizo and Corn with eggs at Hylin. For a special dinner Restaurant Amuse is divine, and for something more casual I love La Lola – makes me feel I’m back in Italy! I used to be one of those people who thought Perth was a bit too sleepy and who dreamt of living elsewhere, but I am so proud of the way this city has changed in the past few years. There is just so much happening all the time now! When you’re not styling events what can we find you doing? I still work part time as a lawyer and I also do some freelance writing work. I like having variety in my work – it keeps me passionate about what I’m doing. But it does mean that I have limited downtime! When I do have time off I love seeing live music, catching a film at the Luna, or hanging out with my husband either at home or at one of our favourite cafes – we are very partial to a good brekky! Any words of advice for those wanting to get into event styling and interior design? Get as much experience as you can and take any opportunity to learn. If you want to get work experience or apply for a job, make your approach personal and professional – I can’t tell you the amount of times I’ve received an email from someone asking for work that has clearly been cut and pasted and sent to every stylist in town, or an email that’s two lines, says nothing about their experience and doesn’t attach any CV. It doesn’t make a great impression. If you are looking to start your own business don’t rush it. Work for others first to understand how it all works and what is involved – even if you can’t get work with a styling business, work in hospitality or even retail – learn about service, hard work and business. If I’d gone out and started my own business back when I first had the idea I am pretty sure I would have failed. Running a business (at least, running it well!) is not easy and there are lots of parts of it that are not fun (finances, tax, administration, working out your legal obligations). Make sure you have the experience and knowledge behind you before you attempt it. Finally, keep in mind that styling is HARD WORK! We work long, long hours and in all sorts of conditions. Although the end result may look glamorous, getting that result definitely is not! You definitely have to have a real passion for what you are doing or you won’t last. If you don’t like the idea of physical labour, early starts and midnight pack downs then styling probably isn’t for you! There is also a lot of preparation – I have spent many a late night folding napkins, tying tags to bonbonniere, writing up seating charts and so on. But if you truly love it it can be such a rewarding job! For more of Kristy’s work you can find her over on her blog, Instagram and Pinterest. Are you in a professional gig and looking for something more creative? What would your dream wedding look like? Image Credits – Keeper Creative, Peggy Saas, Teneil Kable and River and Fern. All images used with permission. Well, what a great Q and A. I checked out this persons Instagram and blog page. So creative, so beautiful and you can see the extraordinary effort she and her team go to so they really must be passionate about it all,,,it shows. Next PostP E R S O N A L: Adulting, affirmations and a little bit of me time.